A varied programme of events in St Ives this weekend. Saturday 26th November - 10.00 am to 5.00 pm. Sunday 27th November - 10.00 am to 4.00 pm. Everything for the creative crafter, knitter and stitcher. Stalls including fabrics, wool, fleece, yarns, dyes, threads, beads, buttons .... and lots more. Plus a programme of creative workshops. Saturday 26th November - 10.00 am to 4.00 pm. Stalls with Christmas gifts and crafts. Food. Music. Saturday 26th November - sessions at 3.00 pm and 7.00 pm. A Traditional Shanty Day at The Castle Inn. With - Falmouth Shout, Bamamaluz Bootleggers, Figurehead, Bone Idle. Free entry - but donations gratefully received for Children’s Hospice South West. Sunday 27th November - 11.00 am to 1.00 pm. "All skills and general help are much appreciated. We provide the tools, gloves and biscuits /fruit and show you what’s needed doing. It mostly involves cutting back brambles and bracken and clearing around trees." Some great events in St Ives over the weekend and the final week of November. 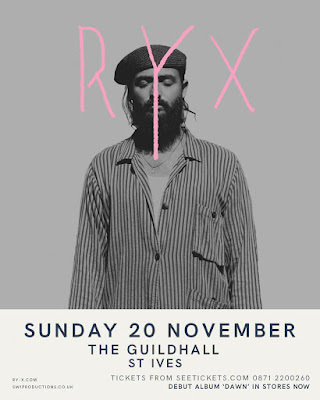 Doors - 7.30 pm. Music from 8.00 pm. “A gorgeous, dolorous haze” – New York Times. “Haunting and haunted...Set to bask in the warm glow of success” – The Guardian. Live music at The Castle Inn on Friday and Saturday night from 9.00 pm and Sunday afternoon from 3.00 pm. Free entry. Cheap Seats Community Cinema at St Ives Arts Club on Saturday night. Film - 7.30 pm - doors 7.00 pm. "A woman inexplicably finds herself cut off from all human contact when an invisible, unyielding wall suddenly surrounds the countryside. Accompanied by her loyal dog she becomes immersed in a world untouched by civilization and ruled by the laws of nature. This film will make you think about humanity, nature and life - a poetic beautifully shot film." £4.00 / £3.50 (Arts Club members). 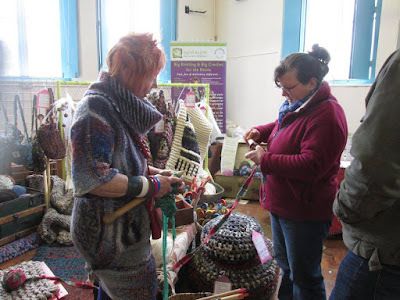 During the week a variety of events including Pub Quiz at The Castle Inn (Mon), St Ives Knitting Group at Cafe Art (Tue), Steeple Woodland Working Party (Wed), St Ives Farmers Market (Thu). 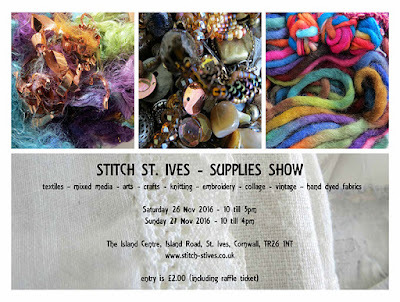 Stitch St Ives - Crafts For Crafters Show. Fair Mo - Christmas Fair. Stitch St Ives is a craft show with a difference. Everything for the creative crafter - knitting and stitching - textiles - craft supplies. Saturday 26th - Sunday 27th November 2016. Also - a programme of fun creative workshops. The Island Centre venue is easy to get to. 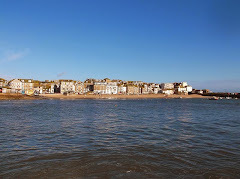 A short walk from the harbour and the town centre. Next door to a large public car park. Disabled access. So come along to enjoy a creative crafty day out - browse the stalls, enjoy a coffee and cake, get creative at a workshop, browse some more!